As I mentioned before there are 20 items in the Genealogy Bank regarding “Donna Montran.” After her, now famous, airplane ride she applied to represent Boston at New York’s Crystal Palace Preparedness Bazaar. It is amazing that in those days, the newspapers printed the names and addresses of all the applicants. Imagine what would happen today if a newspaper published the home addresses of 49 contestants for a beauty contest. Wow. 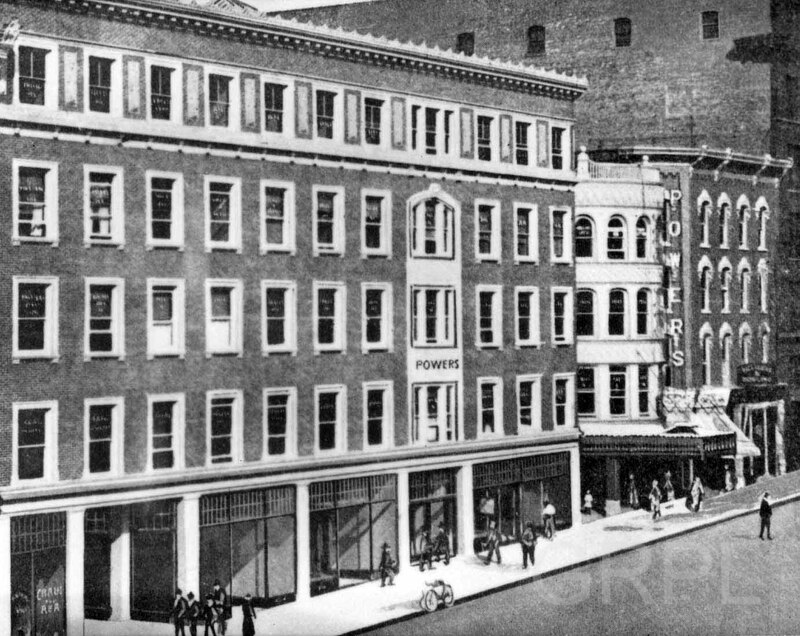 Anyway, thanks to the policies of the time, we now know that in December if 1916, Donna was living at 64 Bennett in Brighton (Boston), MA. The house at that address today was built in 1920, so we don’t know what 64 Bennett was like back in 1916. It is interesting to note that there were two Holdsworth girls who also applied to represent Boston. Holdsworth was the name of one of Donna’s mother’s husbands — I wonder if there is a relationship. By the way, Preparedness Bazaar referred to actions to prepare the United States to enter into World War I, which the US Didn’t do until the following year. 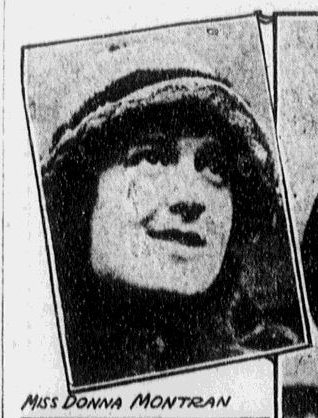 Donna doesn’t show up in the Genealogy Bank papers again until 1919 when she was in the play “Chin Chin” where she played at the Pinney Theater (Demolished) in Boise, Idaho where she received accolades for her role as the “good fairy”. She continued that role at the Powers Theater in Grand Rapids, and the Saginaw Auditorium in February, 1920. 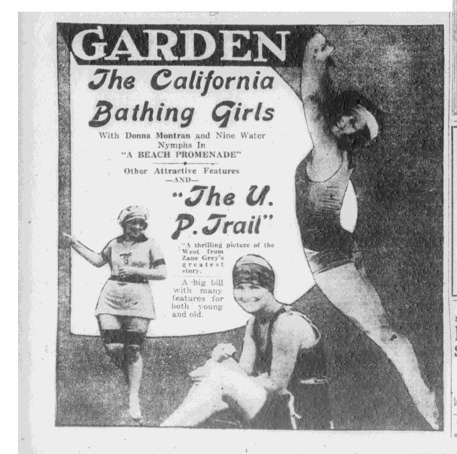 Donna then began a run of “The California Bathing Beauties” with Donna Montran. In September and October of 1920, she played the Garden in Baltimore, the Cosmos in Washington, DC, and the Capitol Theatre in Wilkes-Barre, PA. In the spring of 1921 she played at the State Theater in Trenton, NJ, again at both the Cosmos in Washington, DC and the Garden in Baltimore. The Genealogy Bank newspaper articles added a substantial number of new and exciting details to our understanding of Donna’s life. Previous Previous post: Census Taker’s Tracks – June 27th. Next Next post: Caroline Pankey’s Mother – Martha!